BSEB 12th Result 2018 has been released for Arts, Commerce and Science streams. The candidates can check BSEB 12th Result 2018 on this page. The Link to check BSEB 12th Result 2018 is given below. The overall pass percentage of Bihar 12th board 2018 is 52.95%, further, the pass percentage of science stream is 44.7%, whereas 91.32% and 61.32% passed in Commerce and Arts stream respectively. The BSEB Intermediate Result has been released by the Bihar School Examination Board (BSEB) on its official web portals. Earlier, Bihar Board has conducted class 12th class examination successfully from 6 February to 16 February 2018. As BSEB 12th Result 2018 has announced, the students can check the BSEB 12th result from official web portals of the Board. 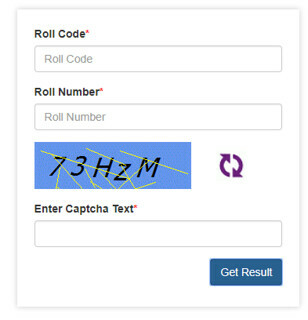 The candidates need to enter their roll number and registration number to check the results. Scroll down for BSEB 12th Result 2018. Latest Update: BSEB 12th Result 2018 has been released for all streams. The Link to check BSEB 12th Result is available on this page. BSEB Bihar Board Result - Declared! BSEB 12th result has been declared on the official website of BSEB i.e. www.biharboard.ac.in. However, the link to check the result is available on this page. Candidates who appeared in the exam can check their result now. The candidates from all streams can check their result by following the link given below. Candidates need to click on the link given below to check the result. Now, candidates need to select their stream. Here they need to enter their Roll Code which will be a five digit number. Then they have to enter their roll number which will be a five digit number. After that, the candidates have to click on the find results option. Their result will be displayed on the screen. The table given below shows that the overall pass percentage and gender-wise pass percentage has been declining drastically, which could be a cause of a concern. The boys have outperformed the girls in both the years. The total no. of students appeared has been increasing over the years. NEET Topper, Kalpana Kumari clinched the first spot in Bihar Board 12th Result in Science Stream, whereas Nishi Sinha and Kusum Kri stood first in Commerce and Art Streams respectively. The marks obtained by all streams toppers are given in the table below. For any query related to BSEB 12th Result 2018, you can write to us in the comments section below.